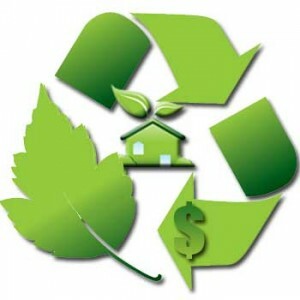 Are you looking for a more secure investment that environmentally conscious & sustainable real estate offers? Are you looking for potent investment opportunities in real estate to make your money grow faster? Are you satisfied with earning 5% to 15%, or would you prefer a 50% to 200% return on your investment? DREAMTIME Design & Development is looking for investors who want to receive high returns on their investments, while investing in secure environmentally conscious and sustainable real estate properties and projects aimed at a rapidly growing lucrative market of “cultural creatives” . We typically finance all of our projects with private funding provided by partners, investors and private capital. We are now looking for additional funding for several exciting new eco-community projects. What do investors get from DREAMTIME Design & Development? • Profitability – Dreamtime’s real estate investment opportunities are structured to provide a high ROI to investors, for a variety of secure, innovative, environmentally conscious eco-community properties and projects. Our eco-communities offer the best real estate investment opportunities available today, primarily due to our GaiaQuest affiliate’s enhanced lifestyle programs, amenities and related enhanced quality of life that our competition cannot not offer. Our projects can generate a 50% to 200% ROI for investments with a two to five year term commitment. Investments with shorter term commitments are also available with a smaller ROI for investors who prefer quicker returns. Dreamtime and our GaiaQuest affiliate can also offer a variety of partnership opportunities for qualified candidates looking for project partnership and business ownership opportunities within our eco-communities. • Ownership – Many investors in DREAMTIME Design & Development projects become partners in the projects they invest in, often at a 50% partnership level. Throughout the course of the project, you will be involved with every important decision regarding the project and how your investment is used. You will also have full access to the financials of the project so you can monitor revenue and expenses and track the performance of your investment. Being a partner on the project also provides much greater revenue for our investors than would be generated by simply charging points and interest on a loan. • Security – Your investment will be secured by valuable real property that we are able to purchase at 25% to 50% LTV (loan to value). The means your investment will be secured by property worth much more than your investment. Our unique eco-community projects provide the most potent and secure real estate investment opportunity available for our investors, providing peace of mind our investors really appreciate, especially in these turbulent economic times. • Timely Returns – Most of our development projects take between 3 to 5 years to complete. However, your investment can be structured in a manner that provides a full return on investment in as little as 1 year, before the project is completed.